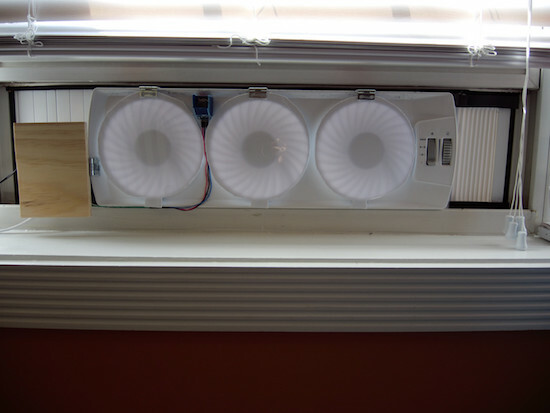 Imgur user “Bodaciousbus” set up his apartment window fans to only circulate air when not filled with smoke. Living in a communal area like an apartment or condo has its benefits, but there are several hassles to deal with as well. One in particular are neighbors who smoke right outside. If you’d like to leave a window open for ventilation, perhaps in combination with a fan, this can be quite annoying. Bodaciousbom solved this issue with a series of fans connected to a smoke detector sensor and an Arduino. If the air is OK, the fans are allowed to blow, pushing homemade flaps out of the way and ventilating the apartment. 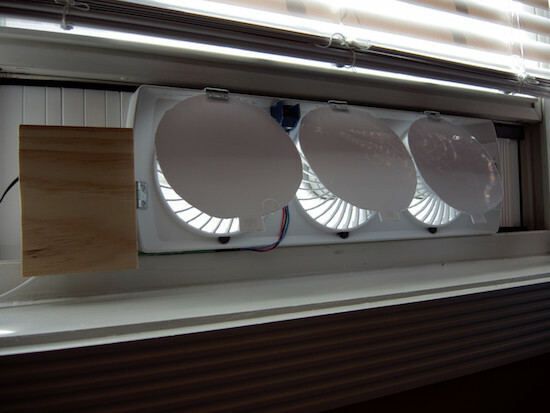 There is also a series of LEDs to show the current status of the outside air. I’m still a rookie with Arduino, but an experienced tinkerer. This project took me a couple of hours to complete, but overall was not too bad. I can relax now, knowing that my window fan will only run when the air outside is free of cigarette smoke (among other things). Are you faced with a similar problem? Be sure to check out the project in more detail here.